Tattoos are personal. You wouldn't put something on your body permanently if it wasn't. And often times, the things that are most personal to us are books. 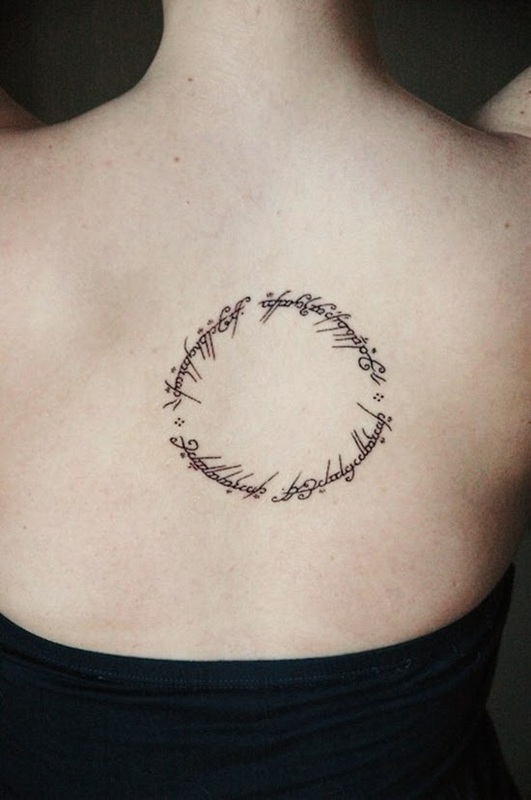 So it makes sense that a huge portion of the tattoo art in the world has been inspired from and based in our favorite fiction. 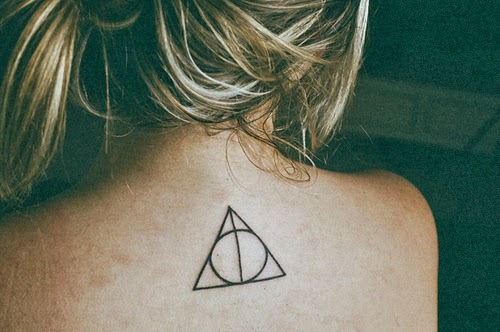 But like any tattoo, one must be very very sure that it's something you want to live with...forever, even if it does come from one of your favorite books. And not all people, in my opinion, really think that through. 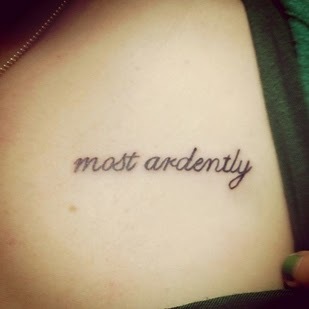 So I've put together a little collection of literary tattoos that I've found and all us book worms can ooo, awww, and ewww over them accordingly. Who doesn't love Mr. Darcy's confession of love?? Jane Austen's Pride and Prejudice will always be a classic. I think it's safe to say that Lord of the Rings is never going out of style. 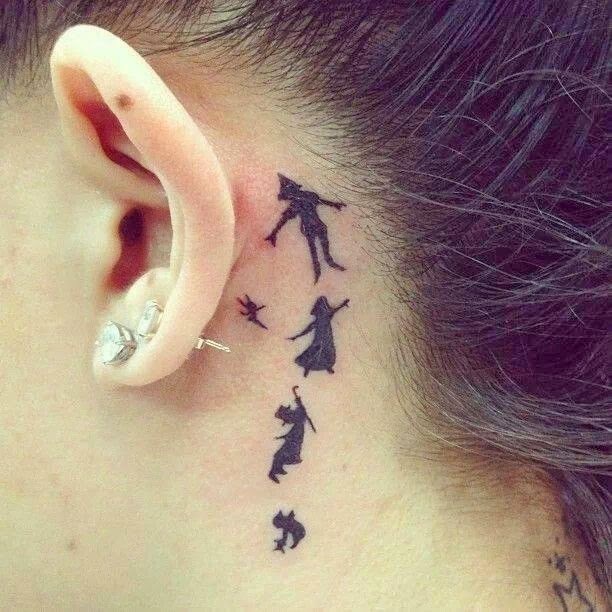 And you can always channel your inner child with J.M. Barrie's Peter Pan. 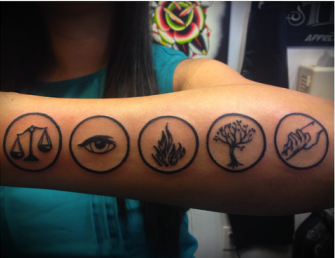 Tattoos based on fad books can quickly go out of style leaving you thinking, "I wish I'd waited before getting my faction tattooed on my arm!" I may take some heat for this but, I just have a feeling that this is going to sizzle out. 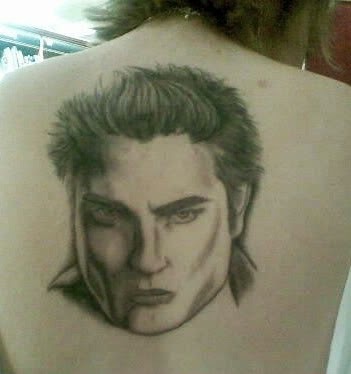 The WHY WOULD YOU DO THAT TO YOURSELF?! And Just Who Does a Book Belong To?